May is Mental Health Month, which provides an opportunity for your pharmacy to shed light on an important common, but often undiscussed, topic. By openly focusing on mental health, your pharmacy can help remove the stigma and make patients more comfortable who are seeking care. By openly and visibly engaging in conversations about mental illness, your pharmacy can play an important role in removing this stigma. The key is to create a space where people feel comfortable discussing mental health. Actively promote Mental Health Month. Show your community that mental health is a priority for your pharmacy. Have signage, provide information on your website and social media, or write a press release or article in a local newspaper. Show your community you are comfortable discussing this topic. Show visible support. 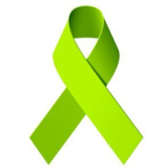 Wearing lime green ribbons has become a symbol of support for mental health awareness. It can be a conversation starter when someone asks why you are wearing this ribbon. It is also used as a signal to those who know what the ribbon is. Train staff to recognize mental health issues. A course such as the eight-hour Mental Health First Aid program can help you and employees recognize symptoms and make referrals. Pharmacists and techs may receive continuing education credit. Help patients feel comfortable. Have a place where the pharmacist can talk privately with patients. Alter your workflow to make private counseling the default. This provides a comfortable environment for patients to speak openly. Highlight possible side effects. Educate patients that depression can be a side effect of many medications, including common prescriptions like statins, beta blockers, analgesics and stimulants. Educate patients on what to look for. Always ask patients about possible side effects and encourage them to speak openly about what they are feeling. Focus on adherence. For the 1 in 6 Americans with a prescription for a mental illness, nonadherence is high.6 While programs like med sync can help, it is necessary to get patients to talk openly about their barriers to adherence. Ensure that patients realize it can take weeks after beginning a drug to see improvement. Also, once they feel better they must continue taking their prescription. Comfortable, open conversations are the key. Promote community resources. In your pharmacy and online, provide information about mental health resources such as hotlines, counselors and community resources such as support groups. Your pharmacy’s attitude toward mental illness can help set the tone for your community. Take steps to remove the stigma by showing through visible actions that you view mental illness as a common, treatable condition. By showing that your pharmacy is comfortable with this topic, your patients and community will be more comfortable as well.